With the "Gather round" Sept. 12 nearly here, multiple reports discussing the features and capabilities of Apple's new devices are becoming more prevalent. The most recent one is from Mark Gurman at Bloomberg. Most of the report reiterates what has already been reported in the past, like cost ranges, and phone sizes. However, the report suggests that there is a "tight supply" of the new LCD model. The theory behind the potential constraints are based on two factors, according to the report. It had been suggested in July that light leakage around the LCD has been causing problems, and the current report suggests that there are "minor complications fitting backlights" in the new model. Also cited by the report is Goldman Sachs' Rod Hall, claiming that Apple may be want to hold back on the device to see how well that the OLED flagships will do prior to making it available. Over the weekend, there were two reports claiming that the name "iPhone Xc" has been selected for Apple's lower-cost LCD-equipped iPhone. The first time, it was spotted on Chinese social media, allegedly included in a China Mobile presentation about the new devices. The LCD model has been long rumored to launch in different colors. 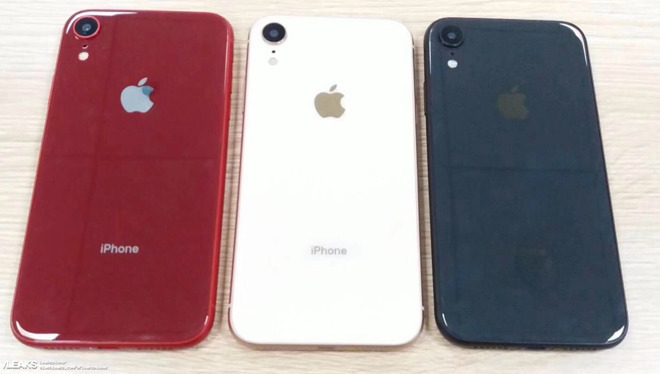 Ming-Chi Kuo predicted in July that the device would ship potentially ship in gray, white, blue, red, and orange case colors. Apple's "Gather round" event on Sept. 12 will put all the rumors to rest. Beyond just a new trio of iPhones, the event may see a refresh of the iPad Pro, and possibly new Macs.